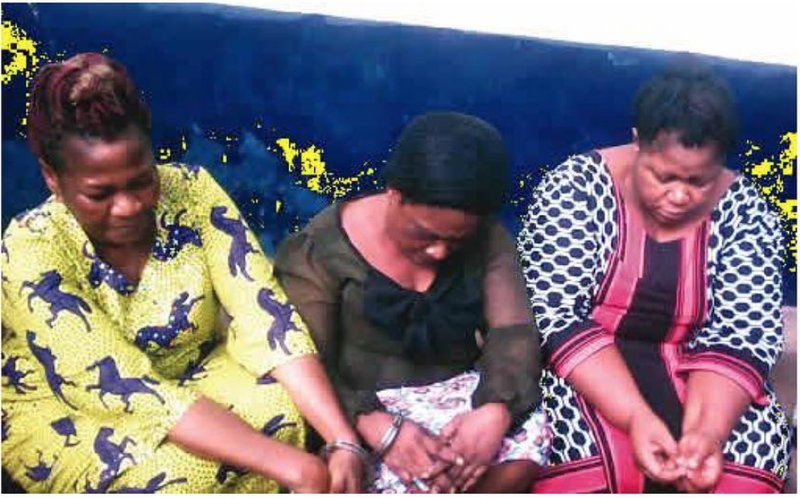 Three women have been arrested by the Abia State police command, in connection with the trafficking of a set of twin baby boys in Aba. Ifeoma Ezeanodo was first arrested with the two babies and on interrogation, she could not give a satisfactory account of the babies. She later said she adopted the babies from one Ifeoma Nwogu. According to Punchng, her confession led to the arrest of the second and third suspects. Ezeanodo said she wanted to adopt baby boys since she had only girls. But Nwogu insisted that she gave the babies to Ezeanodo in order to ensure that they were raised in a good home. Nwogu said, “I have a motherless babies’ home that I registered with the Abia State Ministry of Women Affairs. A volunteer brought a set of twin baby boys to my home and after asking her the source of the babies, she told me that they were abandoned babies and the best thing to do was to give the babies to a home. However, police investigation revealed that Nwogu could not provide the certificate that empowers her to run a motherless babies’ home. A search on her alleged home revealed that there were no motherless children there. The volunteer, one Onyinyechi Chinedu, who identified herself as a nurse with St. George Hospital in Aba, said one girl had approached her to help give her babies to a woman that could take care of them because she did not have money to take care of them.